With increasing number of information that are “somewhere” in the system, the problem of retrieving them is becoming crucial. 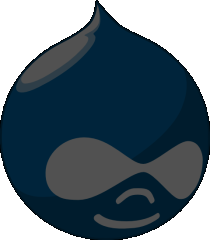 Drupal's answer to this challenge is the Taxonomy Module. Let us make a simple example: A user has to write an article about climate change and changes in bird migration routes. Obviously, we can “tag” this article with at least two keywords: Climate and Zoology. In old CMS's, we first had to define the categories Climate and Zoology, and then we put the content inside those categories (and usually even put the same content twice). In Drupal, we simply associate those two tags to a content (in this case our article, but this could be any content like text, pictures, complex data structures etc. ), and we do not think about the existence of those tags before applying them. This is a change of the paradigm: the content (our article) stays in centre of our consideration, and the organization structure (tags) is fluid. This capability mirrors modern organizational requirements: from simply managing data, to making content easy to find and retrieve. For that, we need dynamic taxonomy management. Taxonomy Module empowers end-users to create ever changing tagging structure by themselves, rather than the system administrator. We can thereafter organize our tags with the help of Taxonomy Module in hierarchies: Drupal’s taxonomy enables users to create relationships between categories or vocabulary terms without the need for reprogramming the system. This is a paradigm change from content management to knowledge management, and Drupal (unlike most of other existing CMS systems) was designed from the very start as a tool for knowledge sharing and management. Please contact us for further information about the capabilities of Drupal, Drupal’s Taxonomy Module and our Drupal services.